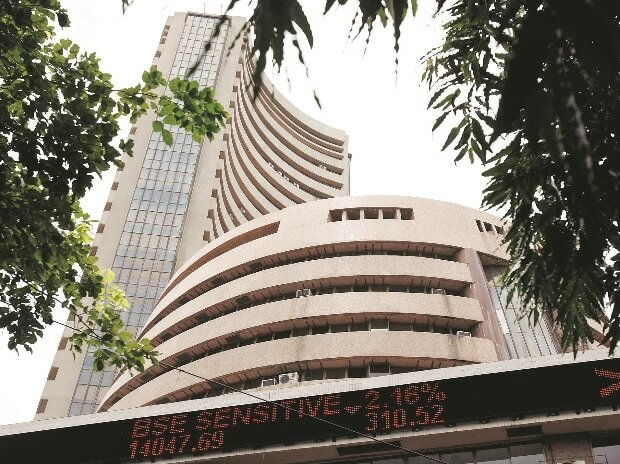 The midcap and smallcap indices cracked up to 1.5% on Wednesday, while frontline indices ended marginally lower as investors turned cautious ahead of the F&O expiry of May series due tomorrow. Investors also awaited the minutes of US Federal Reserve's May policy meeting due later in the day. The S&P BSE Sensex ended at 30,301, down 63 points, while the broader Nifty50 settled at 9,360, down 26 points. The market breadth, indicating the overall health of the market, remained negative. On BSE, 2,019 shares fell and 700 shares rose. A total of 150 shares were unchanged. "Mid caps were a casualty due to concerns over high valuation and mixed set of results providing headwinds to earnings outlook of FY18. At the same time, companies with heavy balance sheets and banks are under pressure ahead of the upcoming RBI's new NPA ordinance. Selling pressure continued in PSU banking as RBI’s action plan on tackling NPAs failed to provide clarity on the resolution of outstanding NPA and concerns over the quantum of haircut the banks will take immediately. On the global front, investors await FOMC minutes to get clarity on the trajectory of interest rates hikes in the current year," said Vinod Nair, Head of Research, Geojit Financial Services. All sectoral indices but Nifty Auto and Nifty Private Bank ended in red with Nifty PSU Bank (down 2.3%), Nifty Metal (down 2.3%) and Nifty Pharma (down 2%) losing the most. Bank of Baroda, Bharti Infratel and L&T were the worst performing stocks on the NSE, which shed up to 3%. Lupin ended nearly 2% lower at Rs 1,228 after the drug major reported a consolidated profit of Rs 380.21 crore in the March quarter against Rs 747 crore reported in the corresponding quarter last year. The stock tanked over 6% to Rs 1,168 in intraday trade on the BSE. IDBI Bank hit its 52-week low of Rs 61.75, down 5.5% on in intra-day trade, after domestic rating agencies ICRA and CRISIL downgraded various debt instruments of the state-run bank. Among gainers, Tata Motors climbed 4% to Rs 469 after the company reported March-quarter profit that beat analysts' estimates on Tuesday. Voltas jumped as much as 10% to a record high, after the air conditioning and engineering company on Tuesday posted a better-than-expected jump in quarterly profit. Jubilant Life Sciences gained over 12% after the company's consolidated net profit zoomed nearly 14-fold to Rs 149.03 crore in the March quarter on robust sales. European markets opened lower on Wednesday, extending the losses seen in Asian markets. Germany's DAX was down 0.1%, France's CAC 40 was flat and Britain's FTSE 100 was up 0.1%. MSCI's broadest index of Asia-Pacific shares outside Japan slipped 0.1%, while Japan's Nikkei stock index ended 0.7% higher. MSCI's index of global shares fell 0.1%. US stock futures pointed to a flat open on Wall Street. On Tuesday the S&P 500 and Dow Jones Industrials edged higher for the fourth day in a row, their longest winning streak since February.